Researchers say that new ‘mini-placentas’ – a cellular model of the early stages of the placenta – could provide a window into early pregnancy and help transform our understanding of reproductive disorders. Details of this new research are published today in the journal Nature. Many pregnancies fail because the embryo does not implant correctly into the lining of the womb (uterus) and fails to form a placental attachment to the mother. Yet, because of the complexities of studying this early period of our development, very little is understood about what is happening normally and what can go wrong. Animals are too dissimilar to humans to provide a good model of placental development and implantation. Efforts to grow human placental cells started over 30 years ago in the Pathology department where Professors Ashley Moffett and Charlie Loke were studying cellular events in the first few weeks of pregnancy. With their chief technician, Lucy Gardner, they found ways to isolate and characterise placental trophoblast cells. These techniques, combined with the organoid culture system, enabled the generation of miniature functional models of the early placenta – or ‘mini-placentas’. In the past few years, a new field of research has blossomed that uses these organoids – often referred to as ‘mini-organs’ – enabling insights into human biology and disease. At the University of Cambridge, one of the world leaders in organoid research, scientists are using organoid cultures to grow everything from ‘mini-brains’ to ‘mini-livers’ to ‘mini-lungs’. 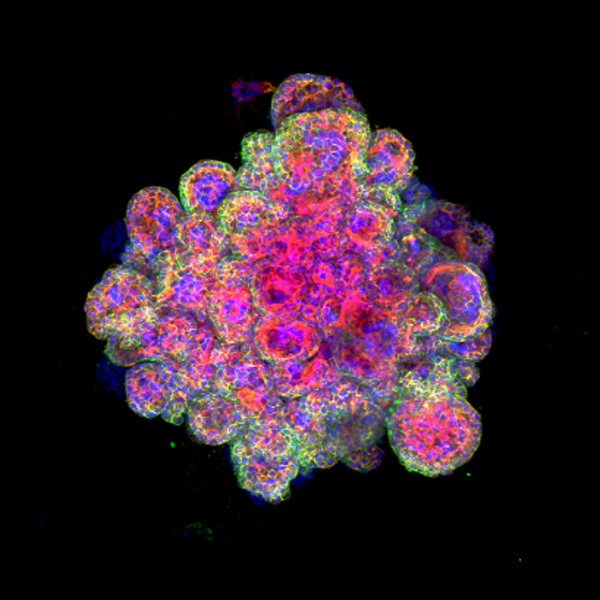 In a study funded by Wellcome and the Centre for Trophoblast Research, the Cambridge team was able to grow organoids using cells from villi – tiny frond-like structures – taken from placental tissue. These trophoblast organoids are able to survive long-term, are genetically stable and organise into villous-like structures that secrete essential proteins and hormones that would affect the mother’s metabolism during the pregnancy. Further analysis showed that the organoids closely resemble normal first-trimester placentas. In fact, the organoids so closely model the early placenta that they are able to record a positive response on an over-the-counter pregnancy test. In addition, the organoids may shed light on other mysteries surrounding the relationships between the placenta, the uterus and the fetus: why, for example, is the placenta able to prevent some infections passing from the mother’s blood to the fetus while others, such as Zika virus, are able to pass through this barrier? The organoids may also be used for screening the safety of drugs to be used in early pregnancy, to understand how chromosomal abnormalities may perturb normal development, and possibly even provide stem cell therapies for failing pregnancies. Last year, the same team supported by Cambridge’s Centre for Trophoblast Research reported growing miniature functional models of the uterine lining. “Now that we’ve developed organoid models of both sides of the interface – maternal tissue and placental tissue – we can start to look at how these two sides talk to each other,” adds Professor Ashley Moffett. Professor Moffett also co-directed a recent study published in Nature that used genomics and bioinformatics approaches to map over 70,000 single cells at the junction of the uterus and placenta. This study revealed how the cells talk to each other to modify the immune response and enable the pregnancy, presenting new and unexpected cell states in the uterus and placenta, and showing which genes are switched on in each cell. Dr Margherita Turco began her career studying the development of embryos in domestic animals during her studies for Veterinary Biotechnology at the University of Bologna, in Italy. During her PhD in Molecular Medicine at the European Institute of Oncology in Milano, she became interested in how early cell lineage decisions are made and began using various stem cells models to address this question. This led Margherita to come to Cambridge in 2012 to carry out her postdoctoral work on human trophoblast stem cells at Cambridge’s Centre for Trophoblast Research (CTR), during which time she was awarded a Marie Curie Fellowship. She now has a Royal Society Dorothy Hodgkin Fellowship that has enabled her to build up her own research group. Margherita’s goal is to understand how the human placenta grows and develops during pregnancy. “The placenta is a remarkable organ that is formed early in pregnancy. It plays the crucial role of nourishing and protecting the baby throughout its development before birth,” she says. There is a lot that can go wrong during this period, however. Human placental development has been a ‘black box’ for ethical and practical reasons. “The lack of reliable experimental models that accurately mimic how placental cells behave has hindered our ability to ask even quite basic questions,” she says. To address this issue, Margherita was funded by the CTR to develop models of the human placenta.. Her mentors have included Professors Ashley Moffett and Graham Burton from the Centre, and Dr Myriam Hemberger from the Babraham Institute, bringing together different a wide range of expertise to this challenging project. Margherita uses a type of model known as an ‘organoid’ and has now managed to generate organoid models from both the mother’s uterus and the placenta, the two sides of the maternal-fetal interface. 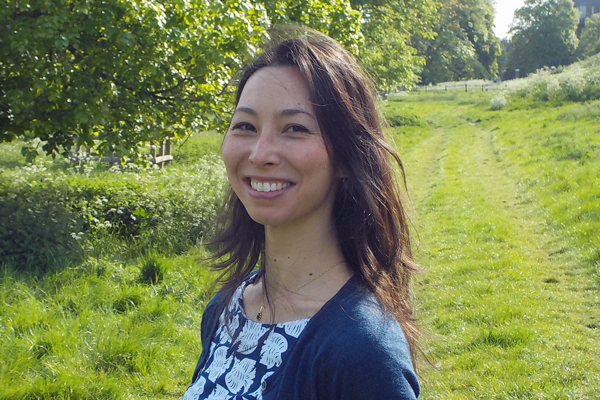 Cambridge has been the ideal place for Margherita to carry out her research because of the unique concentration of placental and stem cell biologists within the CTR. “There is no other place in the world with such a combination of skills, knowledge and resources,” she says.